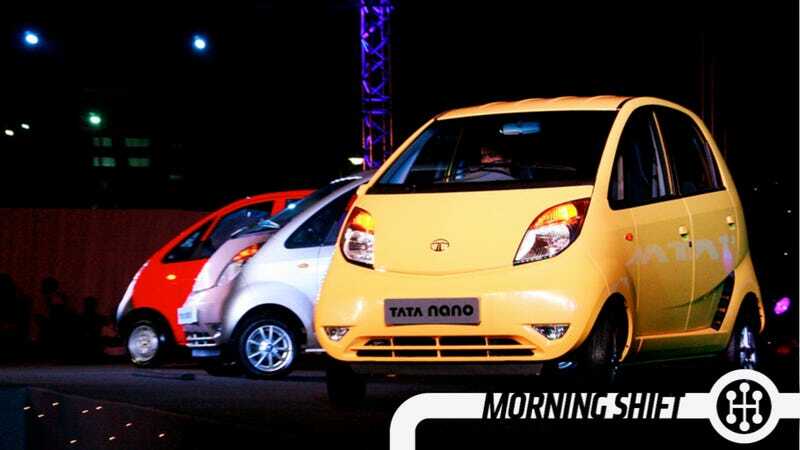 A great report today from Sean McLain in the WSJ about why the Tata Nano bombed. There was so much hype about the world's cheapest car (roughly $2,000) that few people asked if India's growing middle class wanted it. The logic seemed sound: Someone who had previously only been able to afford a bike would want something more car-like at an approachable price and wouldn't care about fancy items. Any car is better than a bike. It turns out that those climbing into India's middle class want cheap cars, but they don't want cars that seem cheap—and are willing to pay more than Tata reckoned for a vehicle that has a more upmarket image. Tata's plan is to add chrome and other features to make it seem nicer. This is basically the same mistake that Honda made with the exceedingly mediocre 2012 Honda Civic. Planners assumed that, with an economy in shambles, Americans would want a cheaper, more value-oriented Civic. They didn't, and Honda had to do what Tata is doing now and quickly refresh the car. Lee Iacocca famously though the original Taurus would be a failure because focus-group testing showed that half the people who saw it didn't like it. What Iacocca missed, and what Ford understood, was that the half who did like it actually loved it, and wanted to buy one. What's the lesson here? Just because you have the data doesn't mean you understand it. Turns out that not all electric cars are unpopular, just the affordable ones are. BMW is said to be boosting capacity for the BMW i3 in light of increased demand for i-products. Customers have reserved more than 8,000 of the compact city car, which will cost $41,350 in the U.S., even before the battery-powered model hits European showrooms next month, Chief Financial Officer Friedrich Eichiner said late Monday. "If demand holds, which is what it's looking like, we will soon have to invest more," he said at a press conference in Amsterdam. BMW expects to sell more than 10,000 of the i3 next year and "will adjust capacity according to demand." 3rd Gear: How Much Is The UAW Healthcare Trust Really Worth? The success of Chrysler has been both a boost and a problem for Fiat, which wants to own all of the company and merge Fiat and Chrysler into a global superpower once and for all. The UAW Chrysler Health Care Trust, which owns 41.5% of Chrysler, says its assets grew by $1.58 billion last year. As Bloomberg reports, that increase comes largely from the increasing value of Chrysler. So how much is that worth? CEO Sergio Marchionne says $1.7 billion, the trust says $4.2 billion. Fiat has the right to buy the rest of Chrysler for $6 billion, but would rather not pay that much. How much it's actually worth is the sticking point. 4th Gear: Hankook To Build First Plant In The U.S. It stands to reason that, as the U.S. sells more cars, demand for tires would rise. Thus South Korea's Hankook Tire will build a new plant in Tennessee that should open in 2016. With so much of tire locating offshore (largely, China) the idea of an Asian tire company building a plant in the United States sounds a little strange, although makes perfect sense. Speaking of new production, Infiniti just broke ground in Sunderland in the UK. It'll be the first Infiniti plant in Europe and where the company plans to build the new Infiniti Q30. Infiniti isn't just adding 1,000 jobs to the area, it'll also be the first new car brand to be manufactured in the UK in 23 years. Points to whomever can figure out the last new brand added to the UK. I'd be it's also Japanese. The new facilities include a body shop for Q30 assembly and a finally trim and chassis assembly. On this day in 2004, the National Highway Traffic Safety Administration rules that hearse manufacturers no longer have to install anchors for child-safety seats in their vehicles. In 1999, to prevent parents from incorrectly installing the seats using only their cars' seat belts, the agency had required all carmakers to put the standardized anchors on every passenger seat in every vehicle they built. Though it seemed rather odd, most hearse-builders complied with the rule and many thousands of their vehicles incorporated baby-seat latches on their front and back passenger seats. Neutral: Do You Want To Feel Cheap? Obviously, Jalopnik readers love strippers (of the automotive variety), but do you want your car to make you feel cheap?